These guys were spamming me with self-promotional crap. But again, nothing too unique there. Happens a few times a day. My first reaction was to click through on their profile and see what this company does for the most part on Twitter. 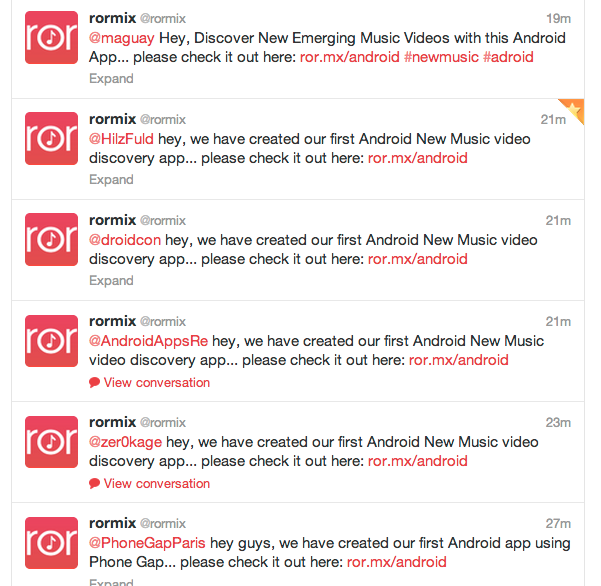 It looked like this.
.@rormix Hey, please stop spamming people because A: You’ll never accomplish anything that way. B: Eventually Twitter will ban you for this. @HilzFuld not spamming, we have a great app and would like your thoughts. Fair enough, they are not spamming, they just want my opinion, irrelevant of number of followers or the fact that I write on various blogs. Got it. So I replied with the full intention of explaining to them what they were doing wrong, in the unlikely chance that they truly didn’t get it. @rormix Really? Go through your tweets. How many of them start with “Hey” and include a link to your app! 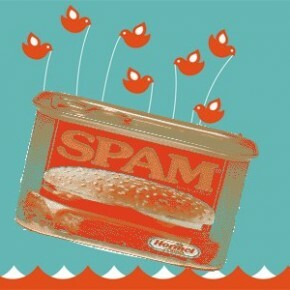 That is group spamming! Stop it. But they weren’t going to give up. They “genuinely” wanted guidance. Cool, always happy to help! @HilzFuld What do you suggest? We are a start-up, can you mentor us? We only tweeted a select group of people. Thanks for replying. So that is what I did. Offered help! Surely, I thought, they would be thrilled with this advice and would immediately stop their ridiculously aggressive and spammy tweeting while reading the guide I sent them. Surely, I was very wrong. At that point, not before, was when I decided I was done with this company and would indeed never download the app. You know who else will never download their app? All my followers. Oh, and anyone reading this post. @rormix Clearly you are not listening. I am done. ← My First Smart Watch, the Pebble is a Total Game-Changer but Not for the Reason you Think!